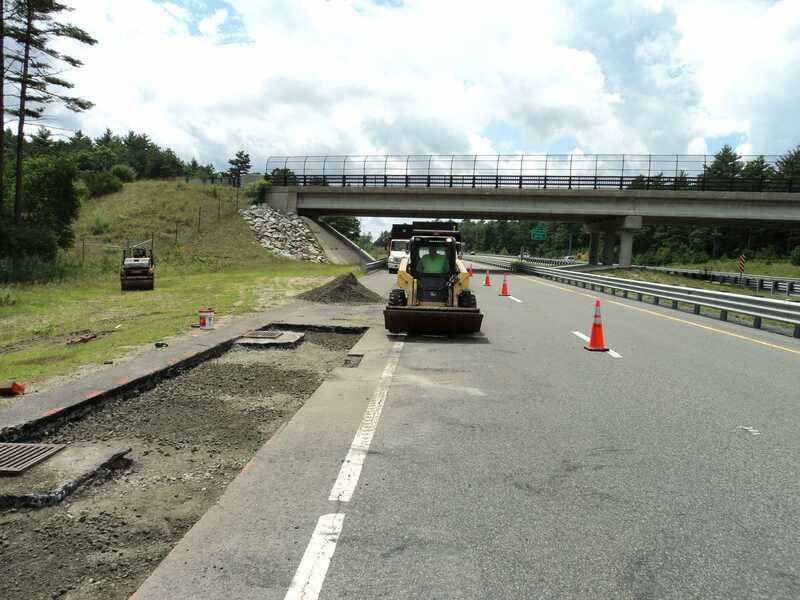 Fixing potholes and asphalt failures is a common need in New England. There are many types of asphalt failures. Potholes, cracking, and rutting are just a few. Potholes are formed when water gets under the pavement and to the sub-base through cracks in the asphalt. The water loosens the sub-base and in the winter freezes, causing frost heaves. When the freezing under the asphalt thaws out you are left with a void. The weight of cars and the asphalt itself sinks into this void, causing asphalt cracking and eventually a pothole. Cracking is an asphalt failure that may require separate types of repairs depending on how bad the cracking is. Straight linear cracks less than an inch wide can be crack sealed. Cracking that looks like a spider web, shattered glass or alligator skin, called “alligator cracking,” cannot be sealed and must be cut out. Repairing asphalt failures can be done in a variety of ways. The most popular method is by cutting out the failed area by saw cutting the asphalt, excavating out the damaged area, repairing the sub-base, and then paving the area with the standard courses of paving. 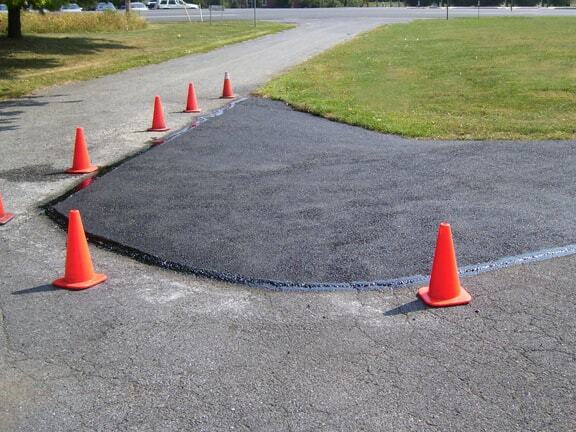 When the patch is complete it is important to seal the edges with an asphalt emulsion tack (asphalt glue) which bonds the seams of the new and old asphalt to help prevent it from peeling up. Most contractors do not do this, so make sure that yours does. Another method growing more popular is by infrared heating the asphalt to a temperature that makes the asphalt workable again. From there you add fresh asphalt and additives to the existing asphalt, regrade and compact the repaired area. For more information on infrared repairs click here. 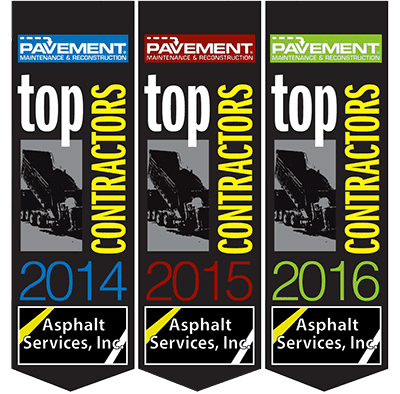 We can handle any asphalt patching repair that you need. 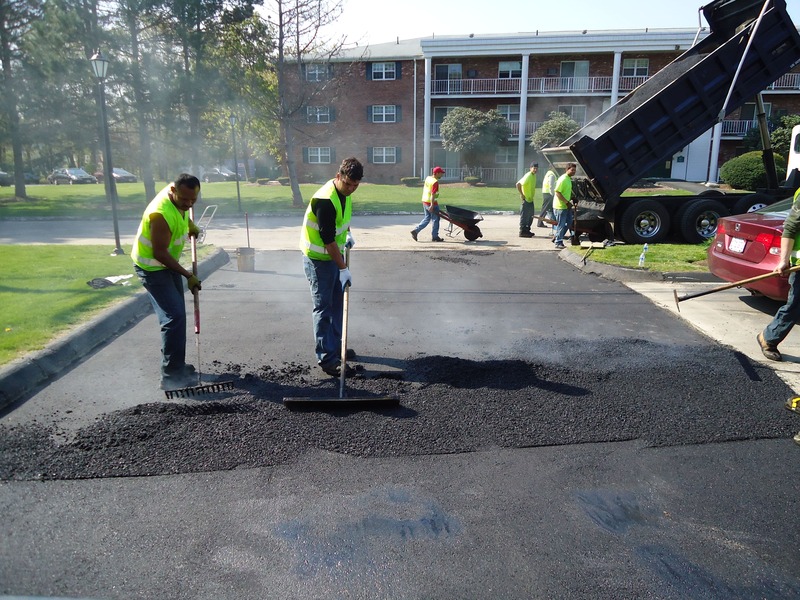 All jobs are important to us and we put as much importance into our asphalt patching repair work as we do our major paving jobs.We provide asphalt patching and asphalt crack filling services for the Greater Boston area. For additional information, please contact us by phone anytime at (781) 938-6800 or through our contact form here.